The second phase of the Science Express Biodiversity Special (SEBS), a mobile biodiversity exhibition train on a Mission to create massive awareness on India’s rich biodiversity, being flagged off. 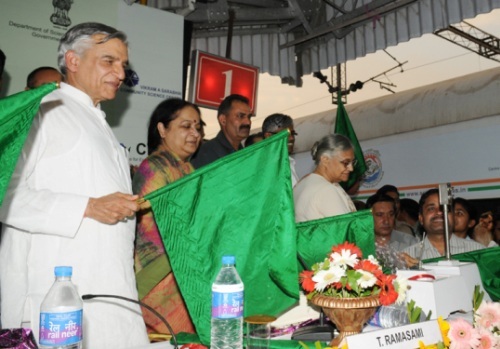 The train, which is now on its journey, was flagged off by Union Minister of Railways, Shri Pawan Kumar Bansal, Minister of Environment & Forests Smt. 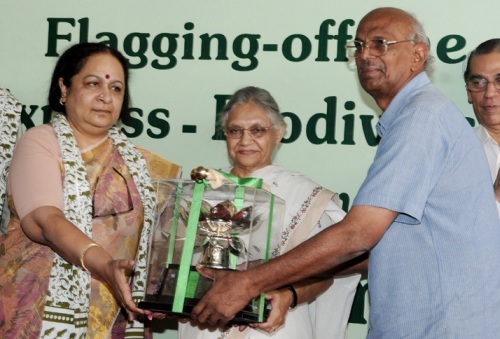 Jayanthi Natarajan and Smt. 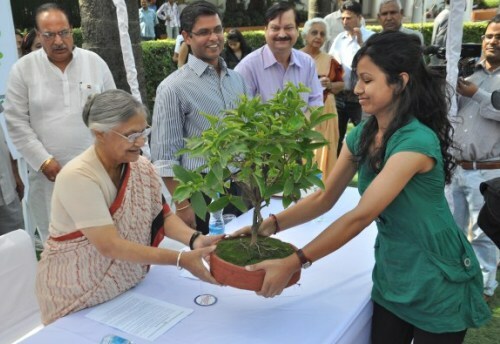 Sheila Dikshit, Chief Minister of Delhi from Delhi in the second week of April 2013. 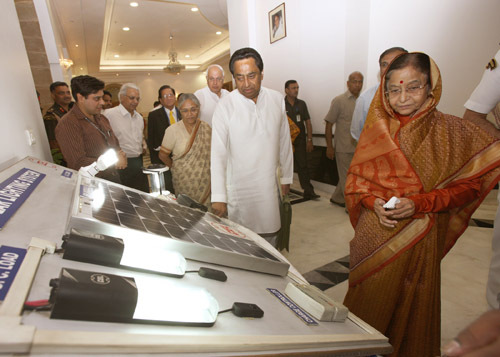 The first phase of the SEBS was flagged off in June, 2012. 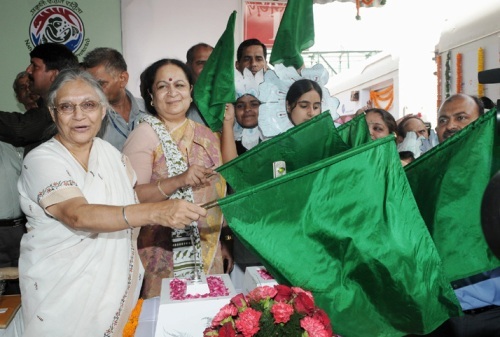 Environment Minister Jayanti Natarjan and Delhi Chief Minister Sheila Dixit flagging off the Science Express - Biodiversity Special from New Delhi. 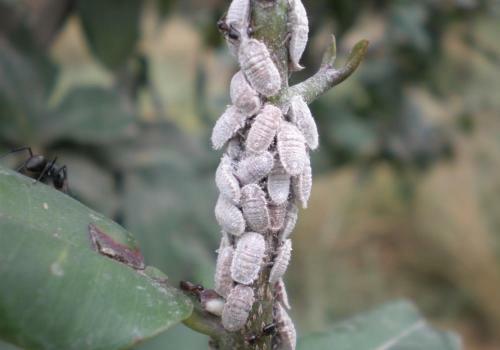 The Science Express - Biodiversity Special (SEBS) train in New Delhi. The Chief Minister Smt. 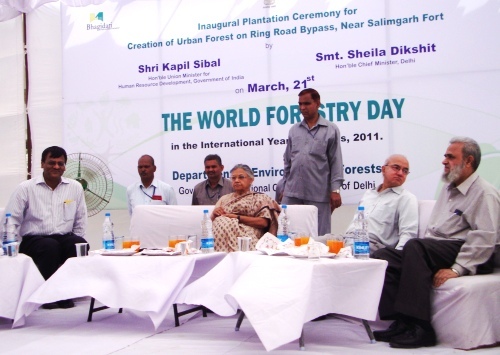 Sheila Dixit, Chief Secretary Rakesh Mehta and Environment Secretary (left) Dharmendra at the Inaugural plantation ceremony for the creation of urban forest on Ring Road bypass near Salimgarh Fort, on World Forestry Day 2011. The CM shares a laugh with the participants and cheers them up for the plantation drive (above). 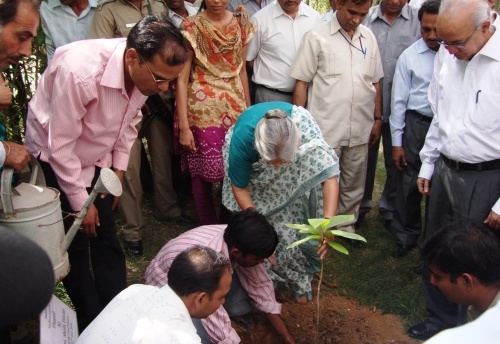 Students and their teachers water a freshly planted sapling with much enthusiasm (below). 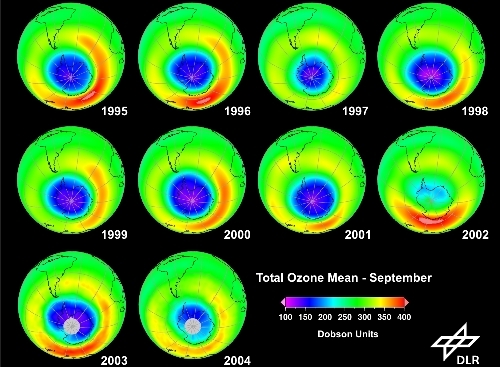 Last updated by DG Correspondent at May 2, 2013 .